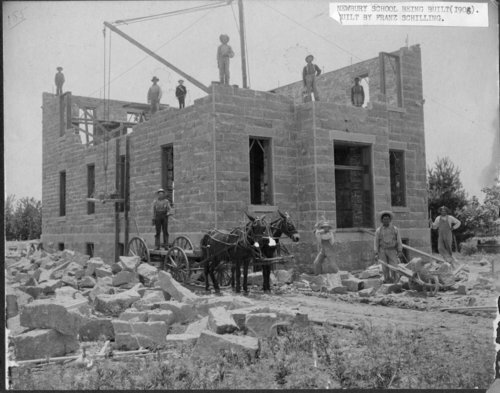 Photograph of men constructing the Sacred Heart School in Newbury, Kansas. Stone cutters and layers are seen here using a block and tackle system to hoist the cut limestone rocks. The building was constructed by Franz Schilling.